Puppets & Energy Domes on the Disney Channel. Not sure where I got this image, and I have little info on the show. 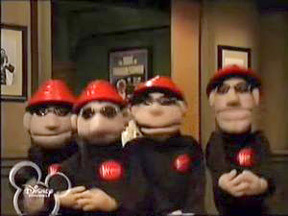 Click Here for more info on these DEVO muppets.